Q: How is your school accredited? 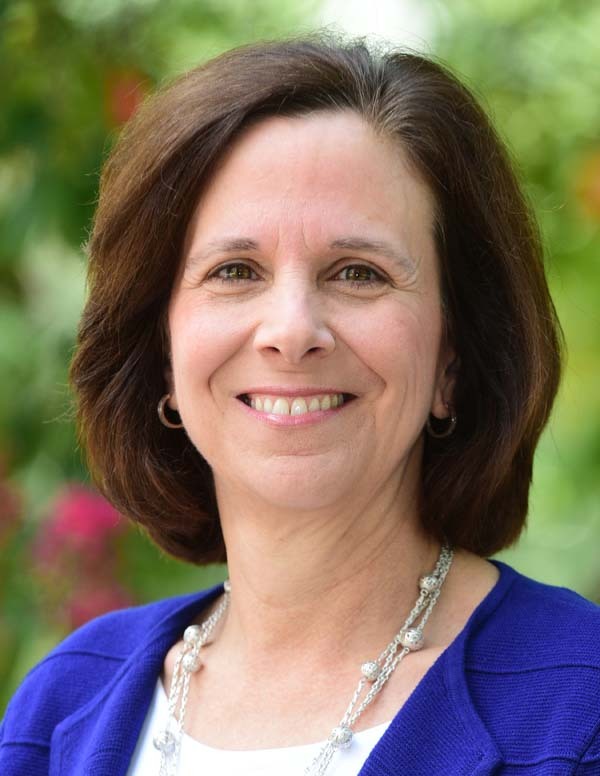 A: Charlotte Christian is accredited by the Southern Association of Colleges and Schools and Council on Accreditation and School Improvement (SACS-CASI), an accreditation division of AdvancEd. 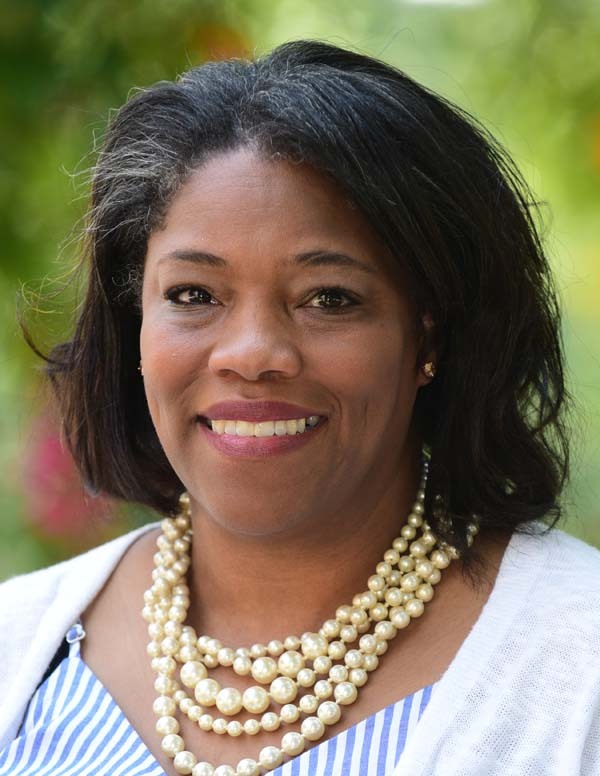 The school is also a member of the North Carolina Association of Independent Schools (NCAIS) and the Council on Educational Standards and Accountability (CESA). A: Junior Kindergarten & Kindergarten: 8 a.m. - 2:15 p.m.
Lower School (Grades 1 - 5): 7:45 a.m. - 2:35 p.m.
Middle School (Grades 6 - 8): 7:45 a.m. - 2:50 p.m.
Upper School (Grades 9 - 12): 8 a.m. - 3:15 p.m.
Q: What is an average class size? 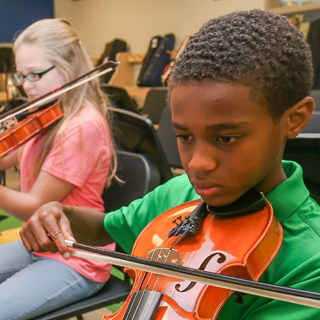 A: While each class may vary, our goal remains to offer a student to teacher ratio that fosters students' success. In JK and K, there is a 9:1 student:teacher ratio and upper school Advanced Placement and honors classes may have as few as five students. 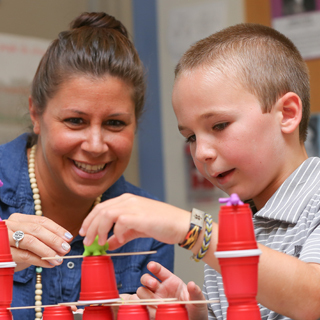 All JK through grade 5 classes have both a full-time teacher and a teacher’s assistant. Q: Tell me about your faculty. A: The faculty of Charlotte Christian School participates in professional development education on a regular and recurring basis enabling them to remain lifelong learners. We are proud that 52% of our faculty have or are working toward advanced degrees (master’s or Ph.D.) and an average of 14 years tenure. Q: Is there diversity on campus? A: Charlotte Christian School admits students of any race, color, national and ethnic origin and offers to all the rights, privileges, programs, and activities generally accorded or made available to students at the school. 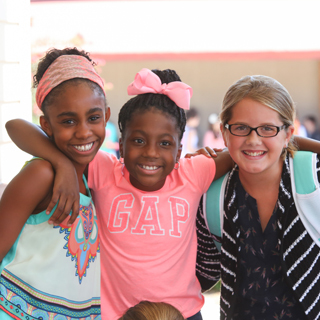 Charlotte Christian School does not discriminate on the basis of race, color, national and ethnic origin in administration of its educational programs, admissions policies, financial aid programs, and athletic and other school administered programs. 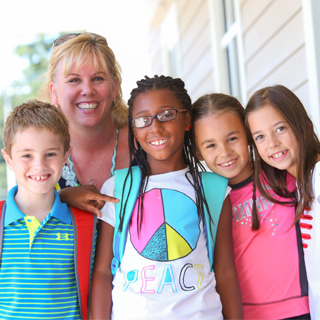 As an independent Christian school, our families are members of more than 130 different Christian churches. Our financial aid program allows us to expand our economic diversity. A: In our desire to educate the whole child, as part of tuition, all students at Charlotte Christian School enjoy a nutritious, all-inclusive lunch program, provided by Flik Food Services. Every day, students have unlimited access to numerous daily offerings including, but not limited to, three hot entrees, a salad bar, deli bar (complete with four Panini machines) and two hot soups. Our chefs use fresh local ingredients and world-class culinary techniques to provide students with innovative, diverse menus. A: Tuition at Charlotte Christian includes the following: a daily nutritious lunch program provided by Flik Food Services; utilization of a MacBook Air for all upper school students and iPads for all middle school students; instructional technology support; textbooks; language arts novels; curriculum-driven field trips; all costs associated with Windy Gap (the middle and upper school spiritual life two-day retreat); and caps and gowns for seniors; the Bryte Little Efird Middle and Upper School Media Center is open to middle and upper school students until 6 p.m.
Q: Is your campus secure? A: Yes, our students’ security is of the utmost importance. We have a CMPD officer on campus during school hours and a private security officer in the evenings. All of our employees are familiar with our Emergency Response Plan which covers natural and human-created disasters. We have over 40 security cameras throughout our campus, and all buildings remain locked throughout the school day. Middle and Upper School students have card access in order to enter buildings and lower school students always travel with an adult. During the school day there is only one way to enter campus, and it is monitored by an officer. All visitors must sign in through our visitor management system and must display a visitor's badge while on campus. We conduct periodic safety exercises on campus including fire, tornado, and lockdown drills in order to prepare our students and staff in the event of any campus emergency. All campus safety procedures and drills have been developed in accordance with the CMPD and safety industry experts. Q: Do you have a nurse on campus? A: The Charlotte Christian nursing staff is committed to providing and encouraging optimal health and safety for each student. There are two health rooms that serve the Charlotte Christian campus. One is located in the Early Education Building, and the main health room is located at the back of the Lamb/Johnson Gymnasium. There are two full-time nurses available to students Monday through Friday from 7:30 a.m. to 3:30 p.m. Athletic Trainers are available to our students during the school day and during all after school athletic events. Q: Does your school require uniforms? A: No, Charlotte Christian does not require uniforms but does adhere to an appearance policy for all grades. All students are required to dress neatly and modestly, as is appropriate for the particular occasion and in a manner that is not disruptive to the learning environment or draws excessive attention to self. Q: What are your guidelines for enrolling in JK and K? A: A child should be 4 years old by Feb. 1 of the year he is applying for Junior Kindergarten. A child should be 5 years old by June 1 of the year he is applying for Kindergarten. A child’s birthday is always viewed in the full context of developmental maturity and will include physical, emotional and social development as well as academic readiness. Click here to review the process. Q: Do you offer Advanced Placement courses? A: We have 20 college level course (AP & Level 500) classes. Please view our curriculum guides. Q: Do most of your students attend colleges and where are they accepted? A: 99% of our students go to four year colleges or universities, many with scholarships for academics, athletics or fine arts. The senior class of 2018 was awarded more than $5.4 million in scholarships and awards. Access a list of college acceptances in the Celebrating the Class of 2018 document that showcases the many accomplishments of our most recent graduating class. Click here to view the upper school profile. Q: Do you offer extended care to students? 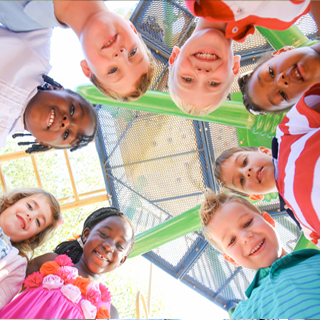 A: We offer an Extended Day Program for our students in junior kindergarten through grade 5. All program services and care end promptly at 6 p.m. Access details and fees for the Extended Day program. Q: Will my child/my family feel welcomed? 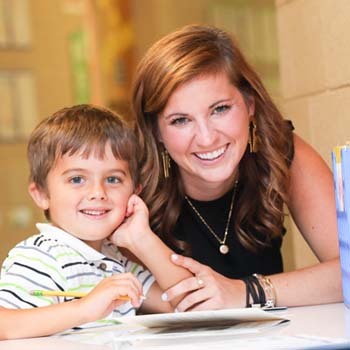 A: Charlotte Christian School has two excellent parent-led groups, PTF (Parent Teacher Fellowship) and N.E.W. (Newcomers Embraced & Welcomed), which host several events throughout the year to assist new families and students in assimilating into community life at our school. 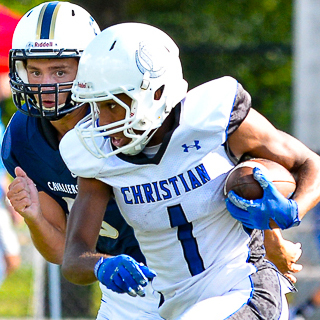 Q: What opportunities, beyond the classroom, does Charlotte Christian offer for students? 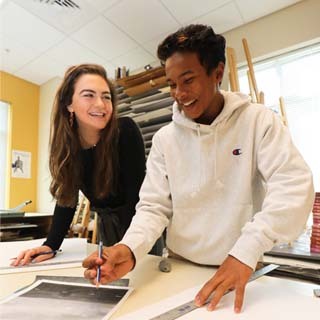 A: In addition to athletics and fine arts opportunities, we offer a number of additional opportunities for lower, middle and upper school students including clubs, field trips, and our J-Term experience.